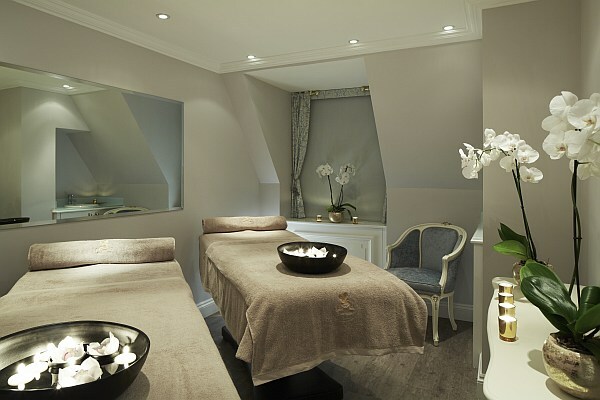 Luxury beauty at The Ritz Salon, London. A luxury facial and massage at The Ritz Salon is a luxury beauty experience, perfect for luxury beauty pampering for Ladies & Gentleman. This London landmark at 150 Piccadilly, offers many things, fine dining, a club, The Rivoli bar and their famous afternoon tea but you may not know about their beauty salon which has recently been refurbished. If you are Lady or Gentleman who looks for excellence all wrapped in English elegance then read on. What is the best, the most luxurious, the most decadent….. This is actually a very difficult question to answer as actually it depends what exactly you are looking for however we can define several factors of utmost importance. Do they know what they are doing? Are they professional? It the salon clean? Is it quiet? Is it value for money? Were they polite? The real genius to The Ritz Beauty Salon is funnily enough their simplicity. One of the most important factors when visiting any luxury beauty or grooming establishment is to feel relaxed and welcome, this was achieved with a full five golden stars. As you enter the hotel doors of this famous luxury London hotel you are walking into history with countless royal warrants but rest assured they do not rest on their laurels. Yes the décor is elaborate and stunning but in many ways what we often want is efficiency, charm and just getting it right. 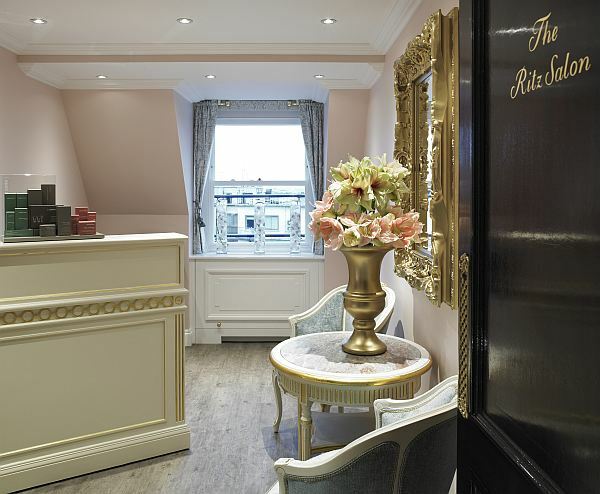 The Ritz Salon door is open, walking through to this very intimate space there are two treatments rooms, a manicure & pedicure room and a hairdressing area. That’s really part of the brilliance, like a discrete Harley Street practice when you enter you are being looked after on a one to one basis and not a number. My coat taken I meet my beautician Charlotte, a very well presented young lady with a welcoming smile, not OTT but just excellent at what she does. I am taken into the Ritz Salon’s treatment room where the standard forms are filled out. The décor of the newly refurbished salon is a very clever modernisation which I imagine had some long discussions before they settled on this. The reason why I say that is that old English, think of Laura Ashley chintz, has gone out of vogue in many establishments though personally I love it, as it reminds me of my childhood, but importantly I think it’s welcoming and homely, all of which aids relaxation. They have settled upon a subtle colour with a touch of old England in the curtains. Think of how a Chelsea or Mayfair bathroom or dressing room might look and you are there. I was asked to smell 3 scents for my massage oil. Actually I did not have a preference so I asked Charlotte to choose. Personally I like to be warm, and it was. It is also a big help with relaxing ones muscles. I lay on my front which started with the massage. Firm but relaxing the movements and oils started going to work. The room has one of these music and light systems, don’t worry not Saturday Night Fever but a system where the light changes colour to mood and music, a system which if it is doing its job correctly one should not notice. The back massage used intense techniques to work on tension relief, including deep relaxation for the scalp. For the back, neck and shoulder massage Charlotte felt a lot of tension and knots around the shoulder area, going up in to the back of the neck. Also some smaller knots in the lower back which meant she focused mainly on these areas trying to loosen and relax the muscles. She used The Mediterranean Aromasoul blend as this contains stimulating oils such as orange, lemon and basil which helps reduce tension and tiredness. For the facial my skin was identified as combination with areas of dehydration, so she worked on balancing the skin. The skin was in good condition so my beautician helped on maintaining it and giving it a deep cleanse leaving it feeling fresh and revived. To help prevent signs of ageing which was a concern ticked in the consultation, she also used the manspace age performer serum. I loved the new look Ritz salon, felt very welcome, thrived on being in such an esteemed establishment but was most surprised by the treatment itself. Yes I was looking forward to it but it was really how seamlessly one moved from the massage to the facial, in fact though one turns over the massage movements continue for the facial. In addition the products were very much to my liking, as they felt lovely, rich and nourishing.